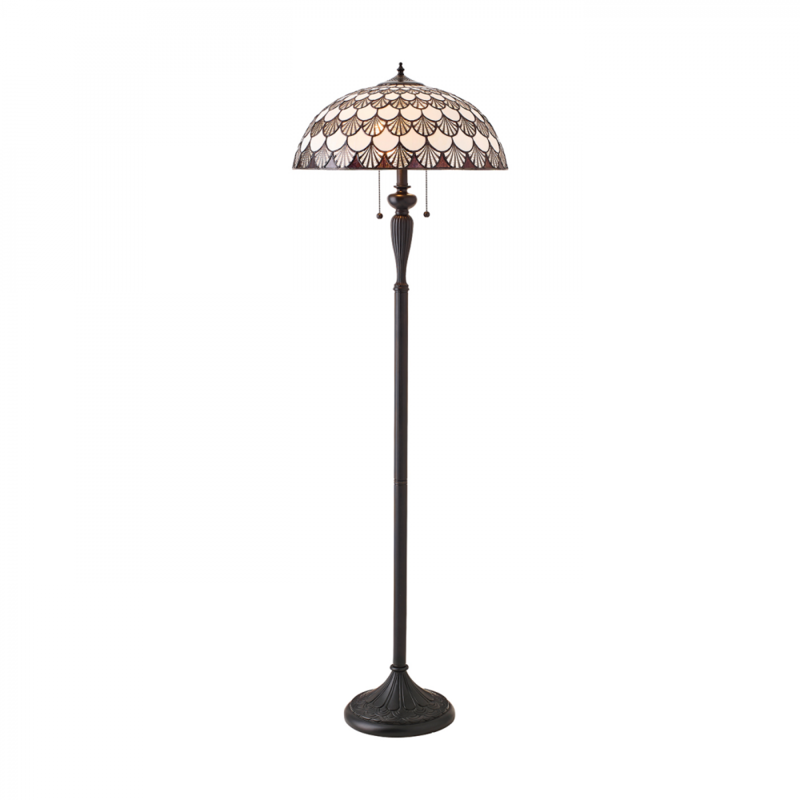 An attractive Tiffany style floor light formed from scalloped shaped glass sections in creams and browns, and teamed with a traditional bronze effect fitting. Compatible with LED lamps. 156cm height x 50cm diameter. Bulb information: 2 x 60W E27 GLS - not included. Material: Glass & polyester resin. Voltage: 220-240V.